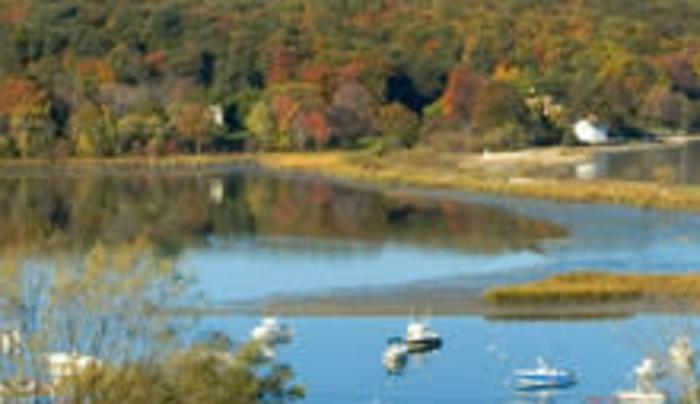 The park is comprised of 40 acres of hilly terrain that offer scenic vistas of the Cold Spring Harbor. It features a mixed hardwood forest with notable large oak specimens that measure three feet in diameter, as well as thickets of wild mountain laurel. The area is ideal for birding; observing spring and fall migrations of a variety of songbirds and is home to great horned owls and red-tailed hawks. Cross-country skiing is available weather permittingThe park serves as the northern trailhead of the Nassau Suffolk Greenbelt Trail that extends to Bethpage State Park and eventually the south shore of Nassau County.